Thanksgiving weekend is coming up and with it a season best known for record times between the fridge and the sofa. There’s nothing like a little friendly competition amongst Track Runners to keep us all moving so we organized the first Remote Turkey Trot 5K race. It’s super simple: All you do is go to your favorite 5k track/trail/route a few minutes before the official starting time (see table below), start a run (can be freestyle or pacer), get the live-tracking link for your active run and tweet it out using the #TrackRunnerApp tag – and bang, you’ve entered. Simply start running at your designated starting time and let the world watch in awe as you break your – and hopefully anybody else’s – record. although our friends from India, Australia, and New Zealand will be running on Sunday, Nov. 30, 2014. The table below shows some popular race times but you can always go by GMT to calculate your own. (Please check whether your country is currently observing daylight savings time as this will affect your calculations in relation to GMT). HOW DO I GET LIVE TRACKING TO WORK (AND WHAT’S THAT ANYWAY)? When you are live-tracking a run it means that the app creates a link to a Google Maps website* on which watchers can follow your run if you share the link on Twitter or other social networks. Watchers can also cheer you on and you will be able to hear their comments via voice notifications if you are using headphones or have the volume turned up. To turn live tracking on, start a run (or pacer run), then hit the back button to navigate to the “tracking paused” screen. Tap “live tracking” (bottom left) and choose a sharing option. For Windows Phone 8.1 users: Please note that direct Twitter sharing has not been made available as of yet so you will have to use the copy URL option and paste the link into your Twitter client (don’t forget to tag it with the #TrackRunnerApp hashtag so watchers will find you). Watchers please note that it can take up to a minute after the runner started his run for the map to show up. If you see Track Runner’s app store page keep hitting refresh until the Google Map appears. Great! Take this turkey trot as your first race. Aim for the finish line, don’t stress about timings. We’ve all started out at some point and are excited to share our hobby with all of you new to running so I am sure you will find the running community supportive and the experience energizing and rewarding! In that spirit, have an awesome race on Saturday and make sure you share those live tracking links! *Privacy advice: Since the point of the remote race is to share your run with Twitter (and Facebook) followers/friends and your route will be visible publicly, we recommend that you don’t start your race at your front door. Help us make Track Runner v. 5.0 a reality! We have some innovative new features planned for Track Runner and are working tirelessly to make them happen. Track Runner’s hallmark are its intuitive, highly customizable training options and we are gearing up to take them to another level. This is exciting and fun but also expensive. We’d love to spend most of our time working on Track Runner v. 5.0 and the good news is you can help us achieve just that! There is no doubt you love Track Runner based on the awesome feedback and reviews we are getting. And we have received many requests to add a donate button to the app so you can show your appreciation in actions rather than words. Click here to donate or use the PayPal Donate button in the top right corner of this page. PayPal accepts credit cards, too, so you won’t even need an account to send us your gift. Pro tip: For some extra love, make it recurring with a simple tick of a box! Share, share, share: use social media to let your family and friends know about our app and our fundraiser. Like Track Runner on Facebook, follow us on Twitter and spread the donate link to show us you care! We are determined to keep Track Runner free of charge and without annoying banner ads while cranking out those sweet updates. The App Cauldron is invested in the Windows Phone running community – now it’s your turn to invest in us! In that sense: Ready, Set, DONATE! Success can be measured in many ways. Success can mean even making it to the track, it can be managing a mile without stitches, 5k without walking or maximizing the kcal burned over a long sustained run. But for many of us success is measured in breaking our personal records. One clever tool that helps many of our users to improve upon their PR is the Pacer. For those who aren’t familiar with Track Runner’s Pacer: This feature helps you stick to a predetermined pace by guiding you through the run with voice notifications. If you want to run 5k in 30 minutes for example, the pacer keeps you running at a constant speed by telling you to slow down if you steam ahead in the beginning or speed up if you’re not quite on track to finish in your chosen time. It’s super simple to set up and gives your training the extra edge. As you can see on the pictures, the pacer has (mostly) kept me in check and even made recovery runs still feel like a fun challenge. Time for a recovery run! Cardio Map below in large. What do you use the pacer for? Let us know on Facebook (http://facebook.com/trackrunnerapp), Twitter (@trackrunnerapp) or in the comments! What is worse is their persistence. If i don’t want to rate an app, I don’t want to rate it. Unfortunately, the “No thanks” button usually leads to a “Can we make it better?” question. (A: Yes – remove that annoying reminder please.) Tapping that away leaves me breathing space until the next launch… somehow this reminds me of early 00s style websites that you couldn’t close without going through 10 silly popups asking you whether you’re sure you want to leave. I understand these developers; Being far up in the search results is critical to the success of an app, and with rating quantity and quality both being a factor for search position, those ratings may translate to real-life dollars and euros. I wonder though what users think of this – my guess is that they don’t like the constant reminders. I think Microsoft should play the grown-up here who puts an end to overly annoying reminders. Maybe the OS could determine the time you spend with an app and handle the rating reminders instead of the app itself. That would level the playing field a bit and users would hopefully find this a much nicer experience that the current rate me craze. *: I resisted the urge to give them 1 star for being annoying. I am thrilled to announce that Track Runner’s major update has just been submitted and will be out shortly. As this is a significant update both on the content and design front we’re going to give you a proper walkthrough video soon. For now, let’s take a sneak peek at the new look and features you’ll be able to enjoy. We’ve expanded Track Runner’s statistics, now offering elevation profile, weather data, and a first glance view of your most recent achievements. We’ve revamped the run screens which now feature a battery saving option as well as the large and small map screens. When pausing the run, an easy to navigate menu offers quick help and access to all the necessary run settings among other features. Most notable in this context is our coolest new social feature: live tracking. You can send your friends a link via facebook or text message and they can follow your run and even cheer you on while you’re running. Messages are read out to you via voice notifications as you go so it’s a guaranteed motivator. Speaking of motivation: if live cheering doesn’t get you on the track, maybe our new live tile with gentle reminders will do the trick. Another neat new feature is gear tracking. 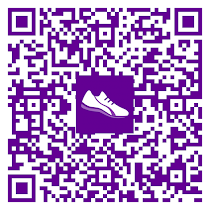 This allows you to track your mileage on your shoes or other running gear. Once you’ve added your gear, the app will keep track of additional mileage automatically while you watch in amazement how well your favorite running shoes are holding up. It wouldn’t be an update without plenty of bug fixes and we want to sincerely thank you for giving us great feedback to keep improving our app. Thanks to your input, we considerably improved handling, language support, stability, and support on low memory devices. Apple, Google and Microsoft all brag about the number of apps in their respective stores. Today, at DVLUP Day New York City in front of a crowd of 250 aspiring WP8 developers, Nokia shared that 400K apps developed by (apparently) 450K developers* made it into the Windows Phone Store to date (see https://twitter.com/dvlup/status/447363457336111104/photo/1). In absolute terms, this does not compare well to Google’s & Apple’s 1 million+ apps, but in relative terms the Windows Phone platform improved from about 20% to about 40% the number of apps available in the iOS Store over the last year. (All numbers from PR releases and Wikipedia). At first glance, that is good news for both users and developers in the Windows Phone ecosystem: Users benefit from a wider app selection, happy users lead to greater adaption and thus more downloads for developers. So – with such a rich app selection, and virtually every paid app on Windows Phone offering a free trial, we should expect to see a high number of downloads per app? Unfortunately not. In November 2013 (http://techcrunch.com/2013/11/20/windows-phone-now-sees-10m-transactions-and-500-new-apps-daily-has-served-3b-total-downloads/), Microsoft announced 3 billion downloads. That was four months ago, and with 16 million daily downloads today the number should now be at most 5 billion. That equates to less than 12,500 downloads per app, which is less than a quarter of Apple’s & Google Play’s north of 50,000. Surprised? If you looked at the Windows Phone store recently, you may have noticed that many of the 400.000 apps just aren’t very good. There are some great Windows Phone apps out there, beautifully designed and packed with amazing features. But many others really shouldn’t be there and Microsoft should never have let them into the store. We’re guilty too – we recently published a bunch of apps for the DVLUP NFC challenge. The sole purpose was to test a few app ideas and collect DVLUP XP at the same time. Don’t check them out, they’re of no use without an NFC tag (of limited use even with one) and will be taken offline soon. Many apps on Windows Phone are plainly awful. They are either terribly designed and constantly crashing or the 700th Flappy Bird clone. Compare this with iOS – from amazing utility apps to awesome games, most apps are great. Well designed, thought through, well developed and tested. Trainyard, Notability, Doodle Jump, Instagram, Snapchat and so on were all initially designed for iOS, and while some of them are now available on WP8, the gems in the making are likely developed on iOS and perhaps Android. That’s a shame, because Windows Phone is a superbly designed OS that runs great on lower cost hardware, is very easy to develop for and for most parts provides excellent documentation and a friendly developer community. In Part 2 of this post, I’ll look at what attracts quality developers (Hint: paying $100 to each developer publishing an app it is not), why Microsoft’s in-app ad solution is an insult to developers and why we here at the App Cauldron develop for Windows Phone. It’s been fairly quiet here I know and that’s because the Cauldron Team is working like busy bees on the complete redesign. Thanks to our beta testers, the content for our next huge update is tested, debugged, improved and ready to run so once we’ve finalized the new look Track Runner is going to be better than ever! For a sneak peek of what you can expect: Gear tracking! Weather data! Elevation profile! So, thank you for your patience while we’re putting the finishing touches in place and we hope you look forward to the big update. PS: Upcoming: A MWC recap including Zombies! Stay tuned.